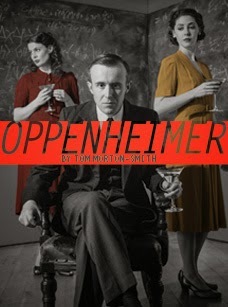 Michael Billington notes in his Guardian review that John Heffernan’s work in the title role in Tom Morton-Smith’s Oppenheimer will “elevate [him] to star-status” but to those of us in the know, he’s long been held in such lofty acclaim. From supporting roles in a wide range of interesting productions to taking the lead in Richard II and Edward II, he has steadily revealed himself as an actor of consummate skill and strength and I make no bones in asserting that he is truly the Dame Judi Dench of his generation. And as ‘Oppie’, the leader of the Manhattan Project and as such the father of the atomic bomb, he really does live up to the billing. There’s such an easy personability about him that is a perfect introduction to a man who is a brilliant physicist, irresistible to women and surrounded by friends as they rail against 1930s fascism in Spain. But where the dexterity comes is in showing us how the weight of such increasingly terrible responsibility haunted and conflicted him in different ways – professionally, personally, philosophically, psychologically. He’s a central figure but still only part of a huge play and a huge production, one that is perhaps just a little over-saturated with ideas and details in Angus Jackson’s meticulous interpretation of Morton-Smith’s epic writing. 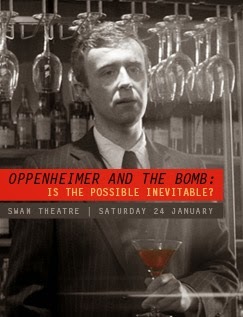 The play punches hardest with Oppie at the centre of the vortex though, embodying the dilemma of pursuing scientific advancement whilst knowing what devastation its practical application will incur, the ethics of subsuming himself entirely into a military framework that would have been anathema to his younger self. And it’s the connections of the ensemble around him that really capture the ‘epicness’ of the play. Catherine Steadman as first love Jean is a vibrantly spiky presence and Thomasin Rand as increasingly depressed wife Kitty both eloquently express society’s inequality whilst fleshing out the man. And to pick just a few excellent performances – William Gaminara’s military-minded Groves with his reminders about decision making being different in war time, Michael Grady-Hall as his estranged brother pleading for the sharing of the deadly knowledge and Jamie Wilkes’ subordinate Bob, less able to emotionally detach like his boss, all stood out for me. Robert Innes Hopkins’ set design allows for one of the better innovations of the show – the mini-lectures that break down the often complex science that is going on are explained with the assistance of a blackboard and this is mirrored by the floor also being made of the same material onto which the cast intermittently scribble equations in chalk. As the play progresses, they become more complex but also more smudged as people walk around, a simple but harrowingly effective metaphor for the murky moral waters of the play. One of the best thing the RSC has done in years.